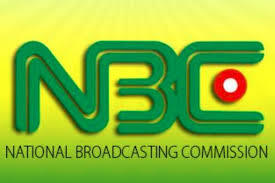 The National Broadcasting Commission (NBC), has slammed some television and radio stations across the country with fines ranging from N500,000 to N1 million. Prominent amongst the stations sanctioned were the African Independent Television (AIT), Channels Television, Nigerian Television Authority (NTA) and Television Continental (TVC) News. The sanction followed the commission’s January 30, 2019, disclosure of its readiness to release the hammer on the erring stations. The decision, according to the Director- General of the NBC, Is’haq, Modibbo Kawu, was for yielding to the spread of hate speech by politicians. Briefing journalists in Abuja, Kawu said the stations were found culpable of infractions of the provisions of the Nigerian Broadcasting Code. He directed the affected stations to remit the money within the stipulated five days in order to avoid further sanctions. He recalled that before the electioneering, NBC embarked on deliberate training and sensitisation programmes to bring to the attention of the stations, the provisions of the broadcasting code to serve as a warning about the dangers of hate speech. Kawu also said as part of its mandate, the commission began the monitoring of the 2019 electioneering broadcasts for the sake of ensuring professionalism, good taste, and decency in the electoral process. Kawu, however, expressed regret that in spite of the commission’s efforts at sensitising the stations, 45 stations were found wanting at the end of the presidential elections, in violation of Sections 5.2.12, 7.6.6 and 7.6.7 of the NBC Code. “There are also several state radio and television stations involved in this infraction. Only recently, Jay FM, Jos, was sanctioned for allowing its platform to be used to preach hate speech. “We want to warn that stations that continue to use hate and inflammatory comments that threaten the security of the country will be shut down,” Kawu said. On the list released by the NBC, DAAR Communications, owners of AIT and Raypower, was slammed with a total sum of N2 million, while Channels Television and TVC got N1 million each.